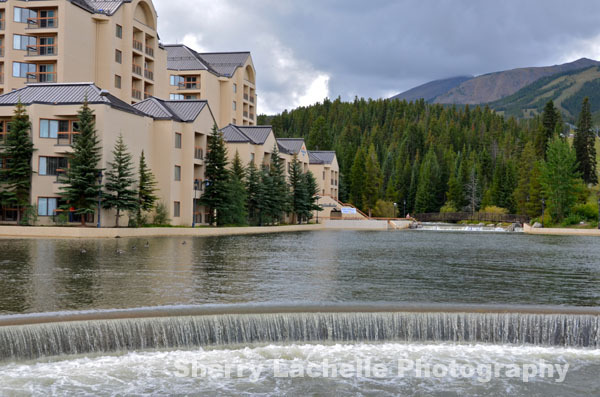 ← Breckenridge, Colorado has it All! 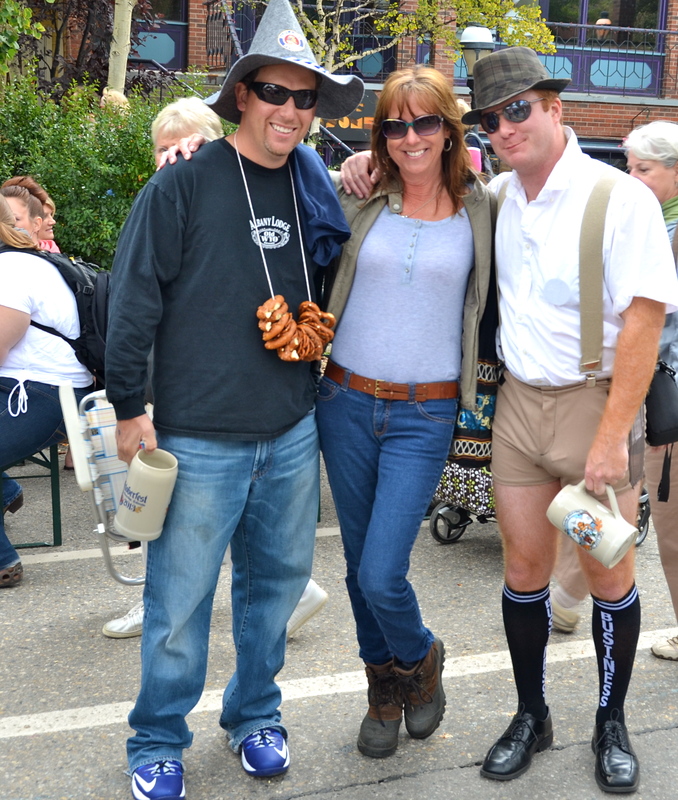 Breckenridge, Colorado sure knows how to celebrate Oktoberfest! In Cincinnati, where I’m from, Oktoberfest is serious business–given the large percentage of German heritage residents. Just a week ago, my friend Gina and I walked a few blocks down from Beaver Run Resort, where we were staying, to the festivities. We arrived rather early at 10:30am and by 11:00am had a dark beer in our hands. 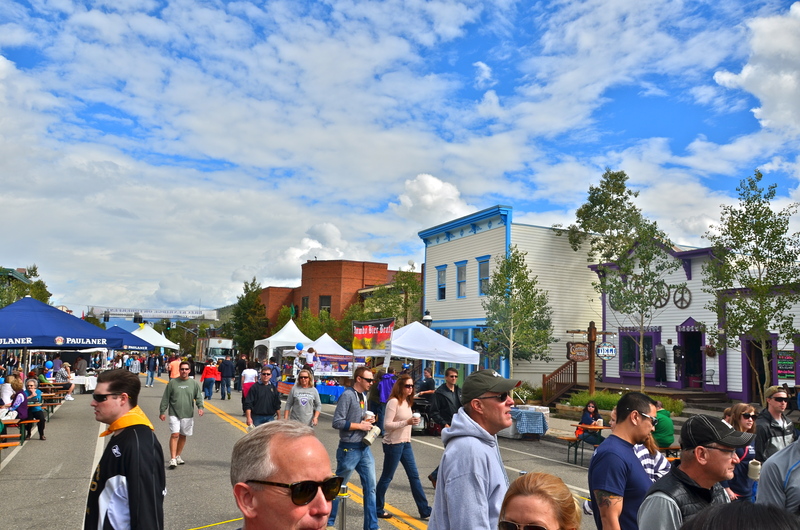 I was surprised at how large of an event it is in Breckenridge. Even with occasional misty rain, it became quite crowded later in the day (double the people shown below). You know me and reflections…love the clouds! Here’s Gina with a couple of the locals. I’ve never seen pretzel necklaces. We were told they’re great for munching on between beers! I had been to Breckenridge about 12 years ago snow skiing, so it was nice to see it in the summer/fall. Tomorrow we drive to Denver…see you then! Actually most places celebrate Oktoberfest in September. Just another Canadian/American difference. Ours never starts until October. We have one community here (Kitchener/Waterloo) that bus loads of people will start pouring into this weekend. The highway will be backed up and so you can’t get near the place. The party goes on for the whole month. It is a crazy time. I didn’t know that. Sounds like a great time there! fun pics! Hope to get to Colorado some day. Lots of fun!! The real one is so packed & touristy. It looks like it’s still warm there! It was in the 70’s. Pretty warm. How’s the weather where you’re at Anneli? Beautiful fall day today, but rain and wind systems breeze through every few days.Temps getting cooler every night. 17 degrees right now. Can’t complain, but rain is coming…again. Prosit! It looks like such huge fun wherever you go! Prost! I lived in Germany for a couple of years and it was fun…thanks for the compliment. I love to have fun! How beautiful and fun this event looks! I don’t even drink beer, but still the pretzel necklace looks like a good idea for snacking as you go! You take beautiful pictures, and the clouds-in-the-window one is really neat. You also are very photogenic, something I can appreciate since I myself usually am not photogenic at all. 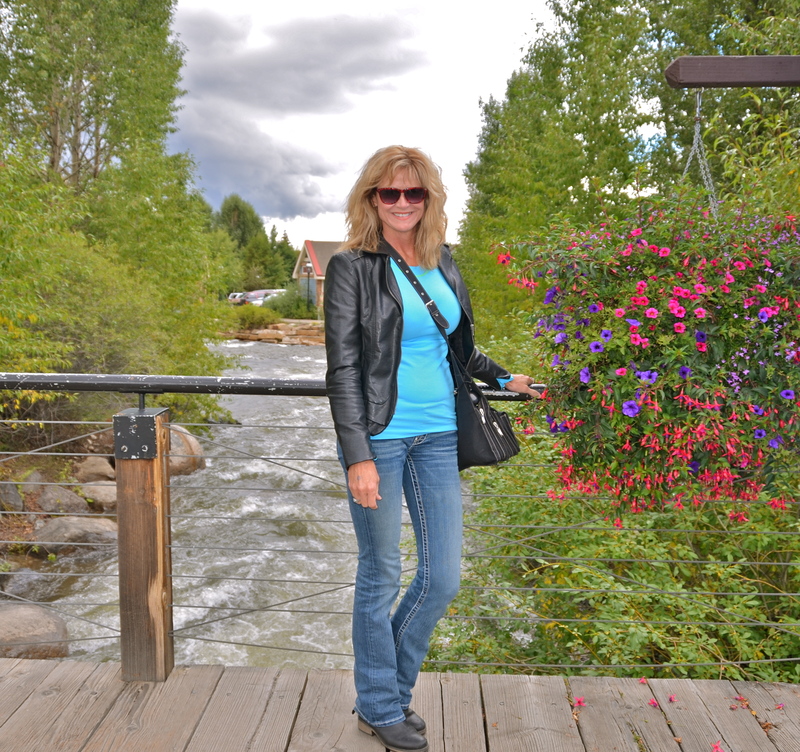 Breckenridge looks like a great place to visit during festival time! You’re so sweet! Thank you very much. The couple looks pretty convincing… but I have to tell you, those things around that guy’s neck are not Oktoberfest pretzels 😉 I come from the area that hosts the real thing. Also, what’s with those tiny receptacles… no way a litre of beer fits into those! You’re funny! I’ll have to google authentic Oktoberfest Pretzel necklaces. Sounds like you like beer too…my kinda woman! Beautiful pics and soooooo jealous right now! Thanks…truly wish you could go!! spirit, I too lived in Germany for a year and had a blast at Octoberfest! That was a number of years ago, things are different now. I am in Daytona now waiting patiently for BIKtoberfest coming up soon. I loved Germany…I’ll bet you did too! I did love Germany, and the regions of Europe that I travelled , but was so thrilled to return to my homeland after a year away, I wept at the sight of the lady in the NY harbor!